The ancient city of Yoruba land, Ile Ife was agog on Saturday as the Ooni of Ife, Oba Adeyeye Ogunwusi hosted thousands of dignitaries, residents, traditionalists and indigenes of the ancient town to celebrate the 2018 Olojo festival amidst pomp and pageantry. The festival was an opportunity to showcase the rich culture of Ile-Ife and the Yoruba nation. 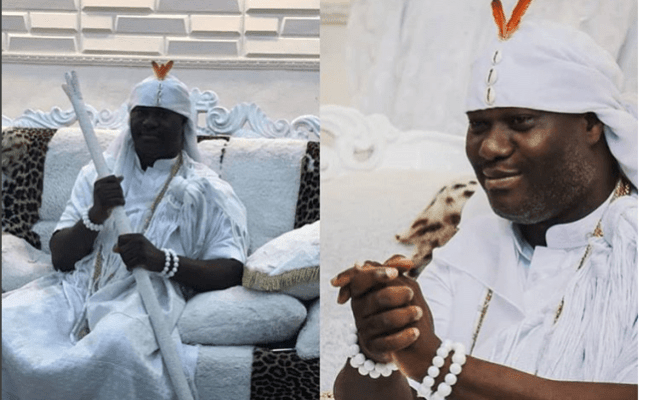 The 2018 Olojo festival had the Ooni wearing the “Aare crown” a day after leaving seclusion at Oke-Mogun in Ile-Ife. The monarch used the occasion to offer prayers for citizens, Ife Kingdom, Osun state and the entire Nation. 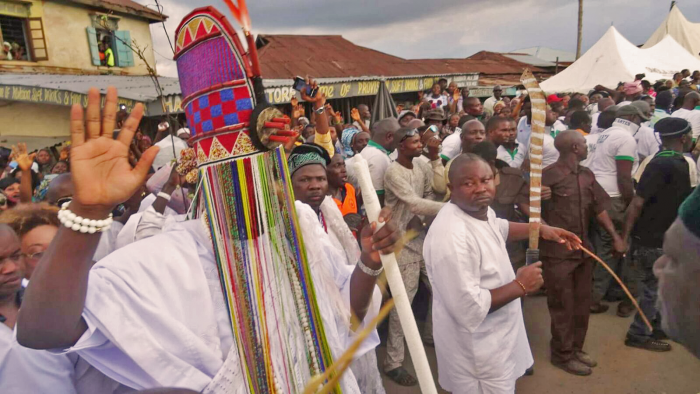 Thousands of people and descendants of Yoruba race from various communities in Nigeria and Diaspora stormed Ile-Ife to celebrate the festival with the Ooni. Willy Santos, who came from Brazil for the festival, stressed the need for Nigerians to preserve their rich culture and tradition. Santos urged the people to rise to the challenges facing their cultural heritage and try all possible means to protect their cultural beliefs and values from extinction. He appealed to Yoruba race to jointly embrace the tradition of their fore bearers, repackage and export it. Also, the Aare Sooko of Ife Kingdom, Chief Aratunde Arayanju, said the Olojo festival signified the day the world was made. Arayanju lauded Ooni Ogunwusi for promoting the culture, and urged Nigerians, especially people from Ile-Ife, to imbibe the culture and support the Ooni to take the Yoruba race to higher ground. Meanwhile, Chief Olusegun Olafioye, the Public Relations Officer, Hunter Association in Nigeria, said the presence of the union was very important to the festival. Olafioye added that they must give 21-gun salute, which will relieve the heaviness of Aare crown that Imperial Majesty wore on the occasion, as part of the ceremony. He admonished all and sundry to cooperate with their monarchs and Chiefs to promote and preserve the culture of Yorubaland.